(SPOT.ph) Summer may not be officially here yet—at least, according to PAGASA—but the heat's already making us want to hit the beach ASAP. You'll be even more excited to know that beach parties and festivals are going to start filling your calendars. Here are some of the best ones to check out for 2019. Just remember one rule: Pick up your trash! Dance to techno beats by top DJs in town including Badkiss, Rasputin, Tarantella, Wilxx, Major Chi, and Pauly. 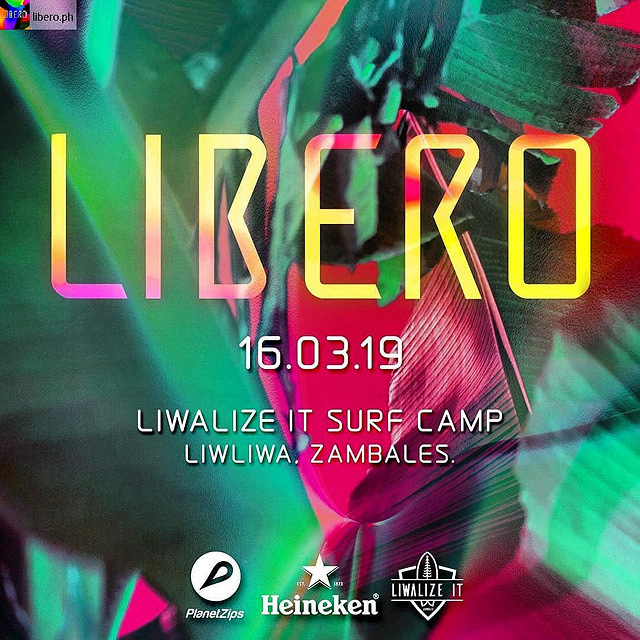 Libero is happening against the backdrop of pine trees in Liwliwa, a laid-back surftown in Zambales that's dotted with campsites and affordable resorts. 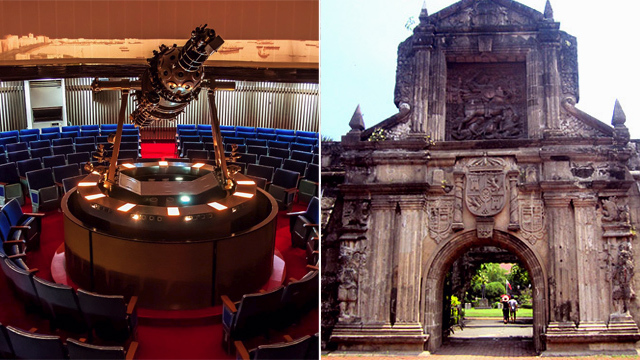 Tickets cost P1,250, but overnight packages are also available for P1,350 (camping space) and P1,650 (single bed at The Circle Hostel). For more information, visit Libero’s website. 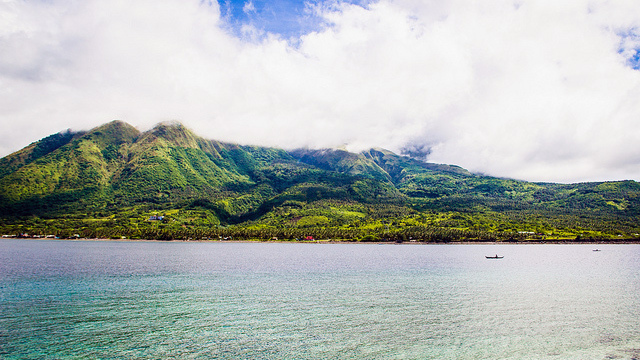 El Nido Resorts has been known for championing sustainable tourism since the early 1980s. This practice extends to its newest development, Lio Tourism Estate—an integrated resort community with hotels, restaurants, commercial spaces, and an artist's village. So it doesn't come as a surprise that its homegrown beach festival also highlights activities that put the focus on sustainability. 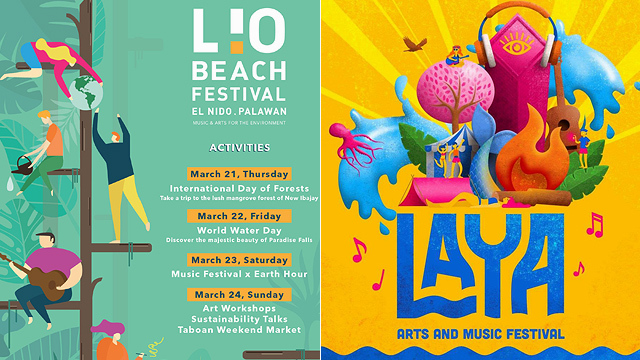 Lio Beach Festival celebrates the International Day of Forests (March 21) and World Water Day (March 22) with river tours, a hike to a beautiful waterfall, art workshops, and talks on taking care of the environment. Its biggest party is happening on the third night through a music festival headlined by Mojofly and Cheats. Activities are all free, except for the tours. To register, sign up through Lio Beach Festival’s page. After a hiatus in 2018, the Philippine Flow Fest is back and now bigger than ever for the sixth edition of its Fire Arts and Music Beach Festival. The party is headlined by Badkiss, Ada Dub, Carlo Cao Ocampo, Hernandez Brothers, and more. If you're interested, you can sign up for workshops and learn flow art using poi, hoops, sticks, and staff. Show tickets are priced at P800 while festival passes range from P2,000 (for two days) to P3,000 (for three days). To register, sign up through Philippine Flow Fest’s page. 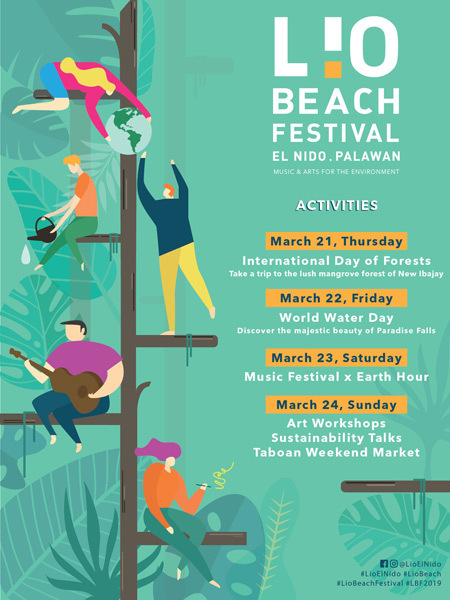 Puraran Beach, a world-famous surf town in Catanduanes, jumpstarts the summer season with a new surf and music festival—Island Coast. It features a national surfing competition that brings together the biggest names in Philippine surfing and a beach party headlined by Brix Tan and DJ Therese. For updates, follow Island Coast Festival on Facebook. 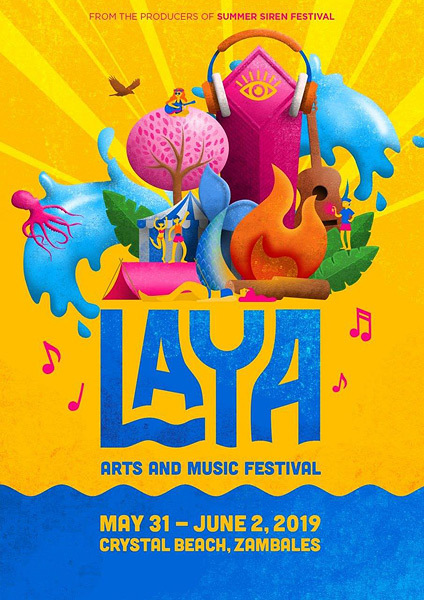 From the producers of the famous Summer Siren Festival comes a new beach party that brings together arts and music in Zambales's famous surf spot—Crystal Beach. Details are yet to be announced, but it looks like this summer event will be one for the books. For updates, follow Summer Siren Festival on Facebook.